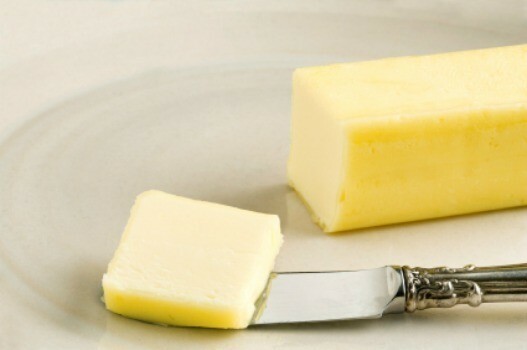 There are 8 tablespoons in a standard stick of butter. Check the cube wrapper for lines which you can use to cut the butter into as many tablespoons as you need. How many tablespoons of butter in a pound? There are 8 tablespoons of butter in a stick and 4 sticks in a pound box of butter. 8x4=32 tablespoons in a pound. How many tablespoons are in one stick of butter? There are 8 tablespoons in a stick of butter. Generally, butter comes in 1 pound packages, with 4 sticks of butter that are 1/4 pound each. This is equilivant to 1/2 cup or 8 tablespoons. The butter that I buy has tablespoon markings on the paper wrapping to make it easy to measure. Question: How Many Tablespoons in a Stick of Butter? Does a stick of butter equal 8 tablespoons? It depends on the stick of butter. The standard sticks are changing. The brand of butter I like the most now comes in eight sticks (four tablespoons each) instead of the standard four sticks (eight tablespoons each) per pound of butter.